What is a modern contact center? 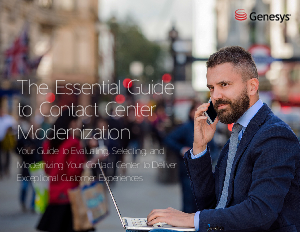 A modern contact center is one that improves the customer experiences (CX) your business delivers. The modernization process centers on making sure you’re able to support all the ways customers want to communicate with your business. Transformation in the contact center translates into a competitive advantage. Once you discover how to deliver a consistent, seamless, and personalized experience across all interactions–from self-service to agent-assisted interactions, you’ll quickly understand that omnichannel experiences can only come from modernizing your contact center. Get the ebook and start delivering omnichannel experiences, personalized interactions, and journey-specific customer exchanges.